KYIV, Ukraine—The first time I ever saw a war, it was on Christmas Eve in 2009. At the time, I was a green Air Force special operations pilot on my first deployment to Afghanistan. I had already been in country for a few weeks, flying mostly day missions. Easy stuff, like surveillance and reconnaissance sorties, which typically meant orbiting ad infinitum over a target while on autopilot. I’d usually bring an energy drink in the boot pocket of my tan flight suit as a pick-me-up before landing. During the missions, which lasted for hours, I’d munch on sandwiches I’d picked up from the chow hall before takeoff. Truly, up to that point, the flying I had done over Afghanistan wasn’t much different than training missions back at Hurlburt Field, Florida, where I was stationed at the time. Except for the mountains, of course, and the ever-present, nebulous idea that the enemy was down in the ether of those patchwork brown and tan fields and stair-stepped plots of vertiginous earth. 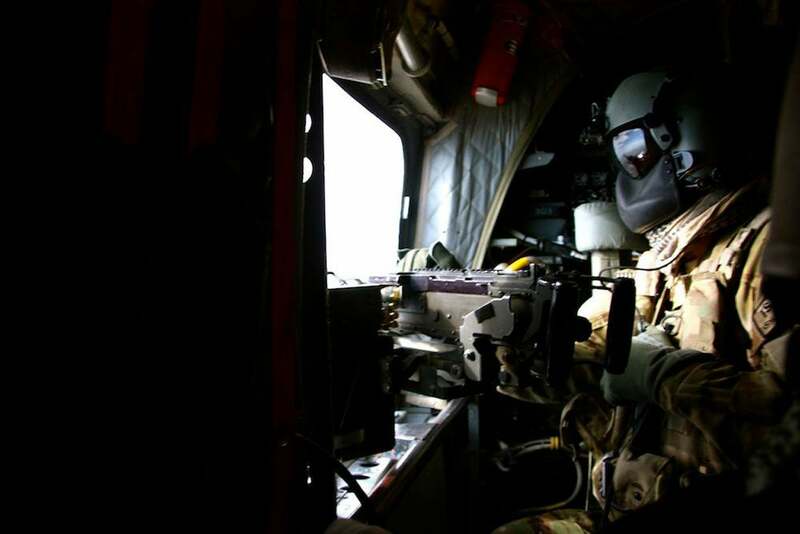 Aboard a U.S. helicopter in Afghanistan. Also, the body armor vest and loaded pistol on my chest and the M-4 carbine stashed behind my seat reminded me in no uncertain terms that this was something more serious than a training mission. Still, I hadn’t seen the war yet. Not really. I had to tell myself that it was down there. I had no other evidence of it. As I said, my first true combat mission was on Christmas Eve. I had been broken in with the easy missions, and for this first combat operation I was paired with an older, more experienced pilot as my aircraft commander. For the sake of discretion, I’m not going to publish his name, since he’s still on active duty. But I will say that he had been an A-10 “Warthog” attack pilot before joining Air Force Special Operations Command, and he knew a lot about war. 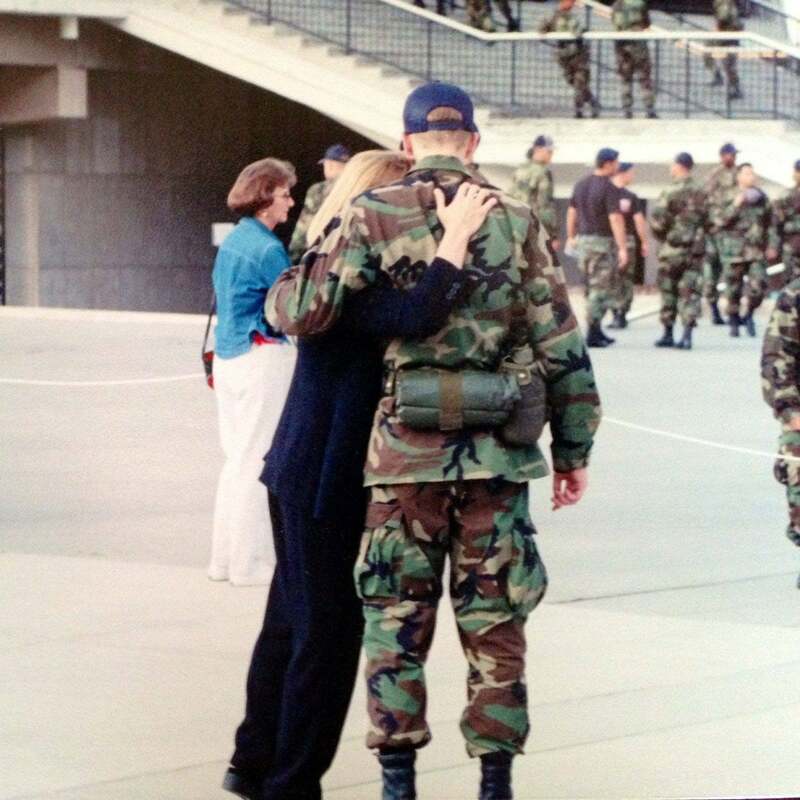 The author with his mother during his freshman year at the U.S. Air Force Academy. I remember as we stepped to the aircraft at Bagram Air Base at dusk with the distant Hindu Kush mountains painted purple in the dim light of the setting sun, the aircraft commander looked back to me and smiled. “Awesome, isn’t it?” he said. That night, we would provide overwatch for a special operations team that was going to helicopter in and assault a compound where a Taliban leader was supposedly holed up. Capture or kill. That was the mission. Soon, it was night and we were watching the target compound through our high-tech sensors. We radioed what we were supposed to say, and did other things in the meantime. 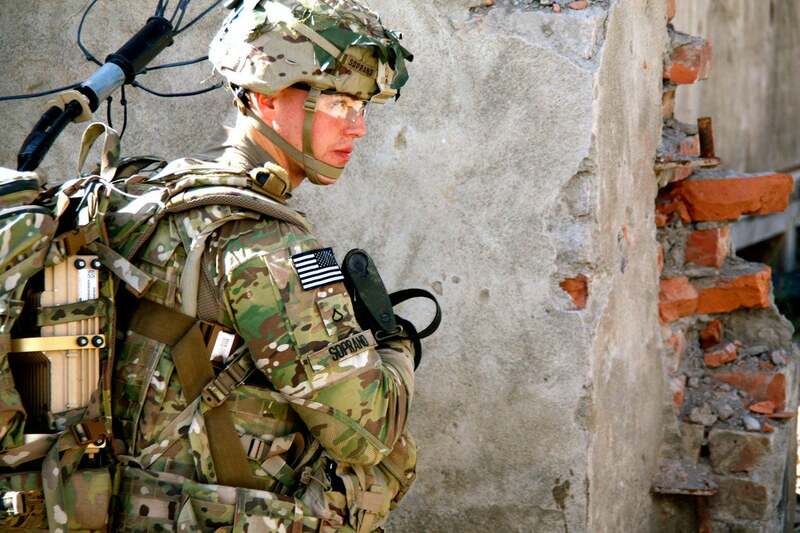 Many young U.S. soldiers have grown up after Sept. 11, 2001. All of the sudden, we heard the dreaded acronym, “TIC,” on the radio. An American ground unit was taking fire miles away from where we were. The voice of the JTAC (the soldier who directs combat aircraft actions from the battlefield) down in the firefight came through the radio with a lot of background noise. He spoke in short bursts in between his measured, heavy breathing. Nevertheless, I remember feeling impressed by how calm his voice seemed, and how precisely he pronounced his words. 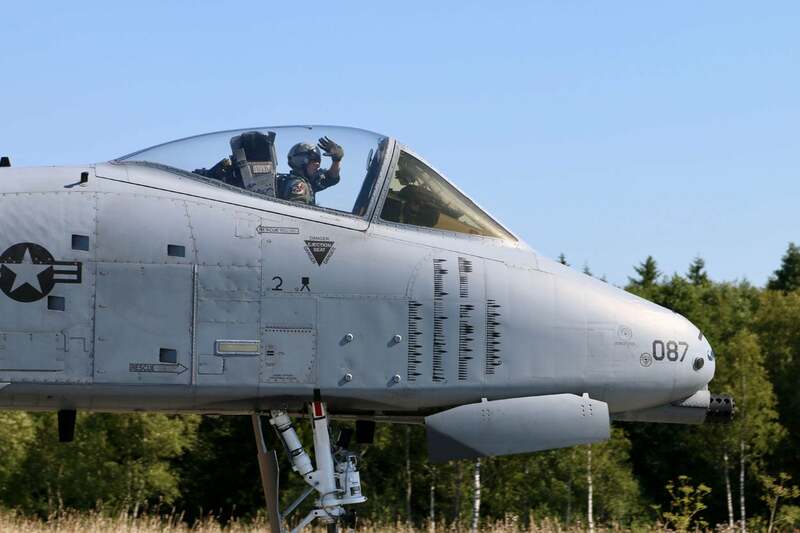 Other aircraft were already overhead, and an airstrike had been authorized. 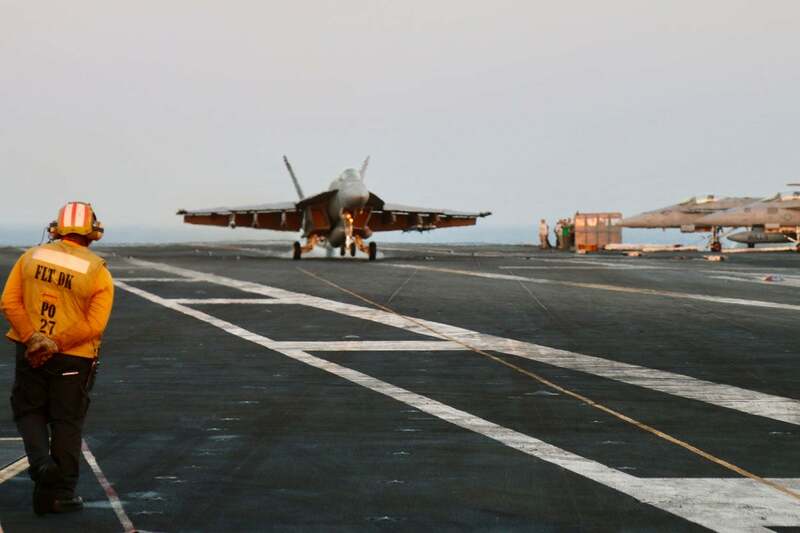 U.S. warplanes launch from the flight deck of the USS George H.W. 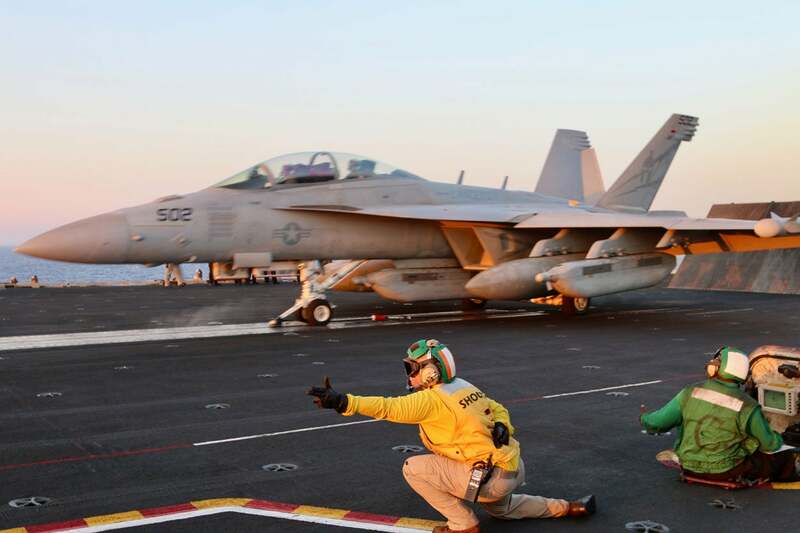 Bush aircraft carrier to support the air war against the Islamic State terror group. The ridgeline where the battle was taking place was off to our right, and we were on the portion of our orbit that brought us closest to that spot when we heard the radio call from an American fighter jet. The bomb had just been released. The aircraft commander told me in which direction to look out my side window. At his suggestion, I flipped up my night-vision goggles to stare into the black night with my naked eyes, straining to make out the murky silhouettes of the mountains below. Then, a flash and a glowing orange orb rose from the earth like a miniature sunrise. I do remember one remark, however. I’ll never forget it. Later on that night, after a handful of Taliban militants escaped our target compound—“squirters,” as we called them—I helped the special operations team track them down. No Americans were wounded or killed on the mission. 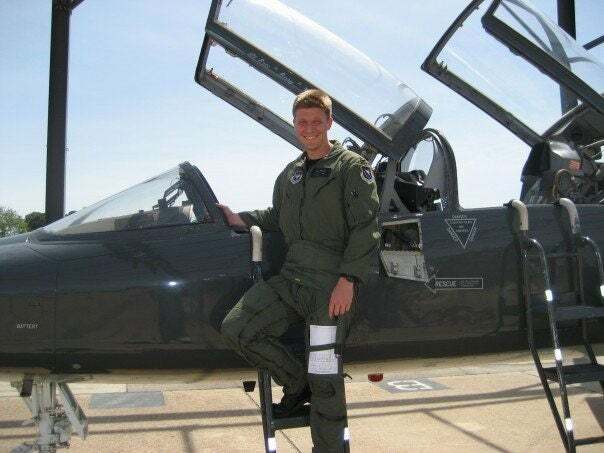 The author during U.S. Air Force pilot training in 2007. After returning to base, I relaxed in my bunk and wrote in my journal. 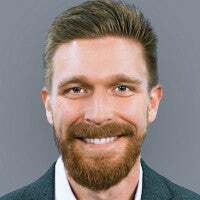 I reflected on that night, reeling with its significance after all the years of training it had taken to be there in Afghanistan as a U.S. military pilot flying combat missions. That night was the first time I had ever seen a weapon fired in anger. It was also the first time I had ever watched people die. Admittedly, it had been a tepid first sip of the combat experience. My life had never been in danger, and I had only seen war from afar, listening on the radio as some of the most lethal warriors in human history—American fighter pilots and special operations troops—killed their enemies. Across Eastern Europe, American military forces are deployed as a deterrence against Russian military aggression. Still, I had contributed, albeit microscopically, to the war effort. More importantly, I had been useful. 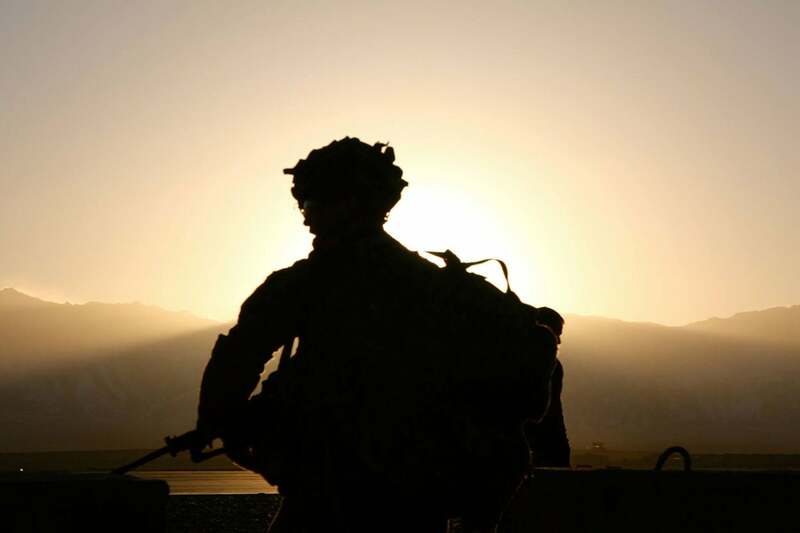 Every Christmas Eve thereafter, I’ve thought about that night in Afghanistan. Especially as my wartime experiences, both as a pilot and a war correspondent, have accumulated over the years, becoming a recurrent constant in my life. Holidays, after all, are perennial markers of time’s passage through which we can take stock of how little or how much life has changed each intervening year. The U.S. military has been engaged in nonstop combat operations since 2001. For that reason, this Christmas it doesn’t escape me that U.S. troops are still deployed in Afghanistan, as well as myriad other combat zones around the world. 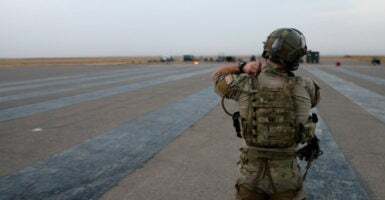 U.S. troops are also conducting training missions in places like Eastern Europe and South Korea, providing a valuable deterrent against military aggression from countries like Russia and North Korea. For U.S. military personnel, such deployments are no longer an interruption of normal life, but a predictable part of it. A recurrent marker of the passage of time as perpetual as the holidays are. Active-duty U.S. military troops of my generation have spent their adult lives rotating between combat zone deployments. For their part, many of the younger troops can’t remember a world before Sept. 11, 2001. The last time the United States celebrated a true peacetime Christmas was the year 2000. At that time, I was halfway through my freshman year at the U.S. Air Force Academy, on leave for the holidays in my hometown of Sarasota, Florida. I remember how proud I was when I stepped off the airplane in my uniform and saw my family waiting for me at the end of the jet bridge, as you could still do in those days. 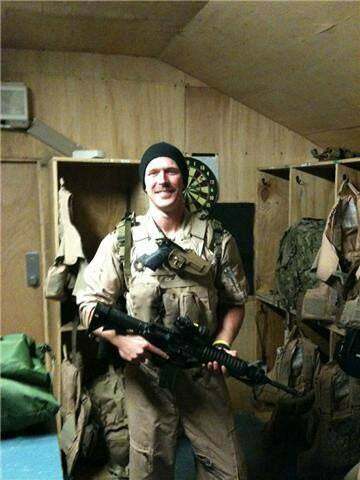 The author prior to a mission in Afghanistan as a U.S. Air Force special operations pilot. I was just 18 years old and slowly adjusting to military life. Yet, to be fair, going to war was never part of the picture. For me, like many of us in the military just prior to 9/11, I seriously wondered whether my country would ever go to war again. Nine months later we knew for certain that we would. And every year after that, we’ve had troops deployed in war zones for the holidays. These days, I have all the respect in the world for the young American men and women who volunteer for military service. They know exactly what they’re getting into. I also wonder, as we near the 17th Christmas after Sept. 11, 2001, if America will ever celebrate another peacetime Christmas in my lifetime. It’s not called the forever war for nothing. But at some point, every individual soldier stops going to war, even if it’s still there. At some point, each U.S. soldier, sailor, airman, or Marine will privately wonder—Have I done enough? When is it right to go on living, even while the wars go on and on? 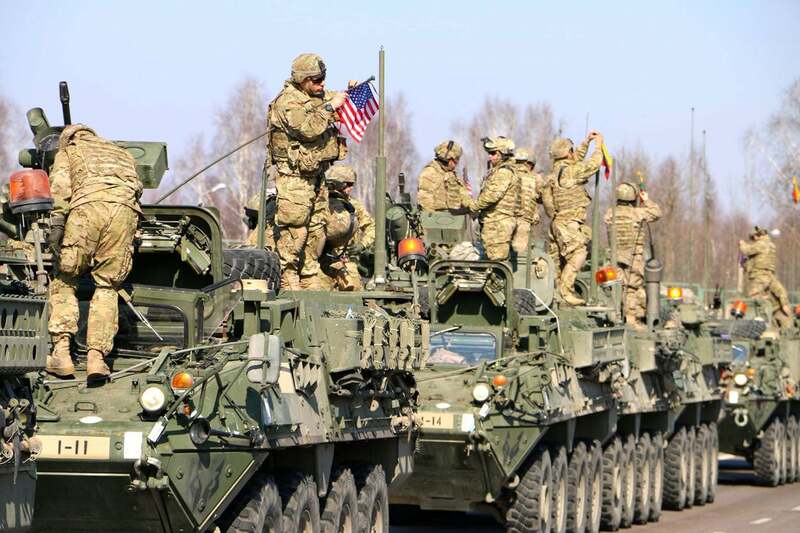 U.S. Army soldiers on a training exercise in Estonia in 2015. People often ask me about the difficulties of writing about war. They want to know if it’s hard to remain upbeat after seeing so many terrible things. Truthfully, the answer is yes, sometimes it’s tough. It’s hard to care about the normal, trivial problems of life after witnessing how much people suffer in war. Sometimes, when the holidays roll around, and the wars go on and on, I wonder what’s worth celebrating. 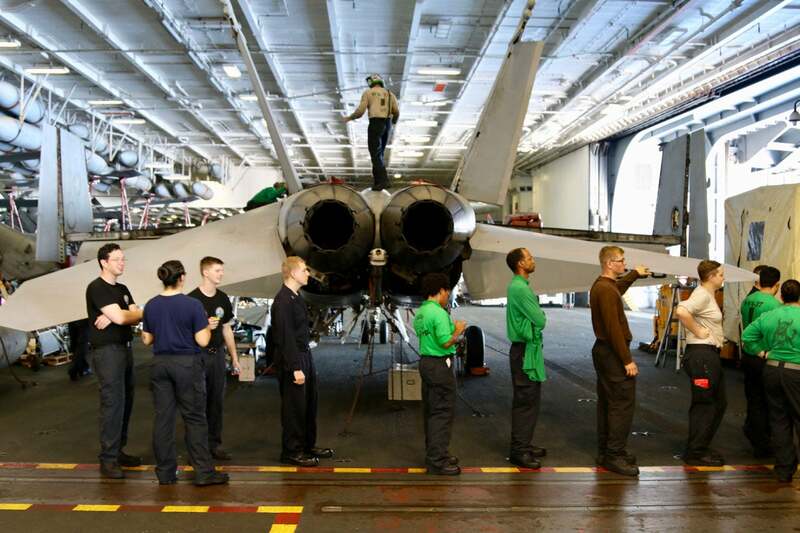 Sailors line up for a meal aboard the USS George H.W. Bush aircraft carrier. But I also remember something else I’ve learned over the years from my wartime experiences. War brings out the most beautiful parts of humanity, too. In war, you see instances of total selflessness, of men and women willing to sacrifice everything for invisible ideas like freedom and justice, or to protect their families and their comrades. Sometimes, to protect people they’ve never even met. Perhaps, in the end, war is as perennial as any holiday and always will be. But so too are other things, like hope, love, and the unending willingness of good people to stand up against evil. This Christmas, like any other, that’s something to celebrate.